The apartment rental industry has rebounded quickly from the recession to set new revenue highs in 2011 and 2012, according to research provided by IBISWorld’s Rental market Report. Favorable demographic trends have driven up rental demand sharply from 2009 to 2012. Meanwhile, falling vacancy rates and an undersupply of rental units, most notably of multifamily units, are allowing industry operators to raise rents and increase industry revenue. Consequently, IBISWorld expects industry revenue to increase 4.1% in 2012 to about $126.9 billion. 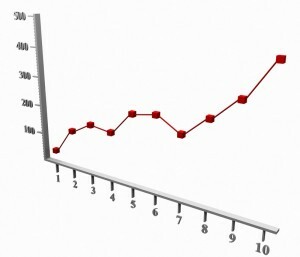 Over the five years to 2012, industry revenue is expected to increase at an average annual rate of 0.8%. Over the past five years, the industry has also benefited from consolidation. While dominated by small, independent lessor firms, these firms account for only a small percentage of industry revenue compared with those associated with real estate investment trusts (REIT). Prior to the recession, REITs aggressively expanded their real estate portfolios by leveraging assets and issuing equity. At the same time, “smaller companies looked to reduce risk by diversifying operations,” says Kelly. These entities diversified their businesses by expanding operations beyond their traditional regional market through corporate acquisitions and property purchases. As a result, industry participants consolidated operations in an attempt to improve their ability to raise capital. Despite improved operations and declines in homeownserhip rates, the industry was not left unscathed during the recession. The economic downturn caused spikes in vacancy rates and lower rental household formation, which hampered industry revenue and profit. Reduced lending from the financial sector also slowed residential leasing business activity because real estate owners use debt to finance purchases, develop property and refurbish buildings. Some companies struggled to maintain normal operations, particularly firms that over-leveraged their real estate holdings prior to the recession. Over the five years to 2017, revenue is forecast to increase steadily. During this period, the combination of still-weak demand for homeownership and general economic improvement will likely drive revenue growth. Homeownership levels are expected to remain flat over the majority of the years to 2017, due to elevated unemployment and interest rates, continued tight lending standards and changes in consumer sentiment toward housing. Demographic changes, particularly regarding population trends and marital rates, will likely limit demand for homeownership which will support ongoing demand for apartment rentals.